The Planning Studio in association with WATG, prepared a master plan for the uptown Cairo project. The project, situated on 450 hectares (1,116 acres) of land on the outskirts of Cairo, Egypt in Mokkatom. The site consisted of very rugged terrain which included a series of descending plateaus above lower flat lands. 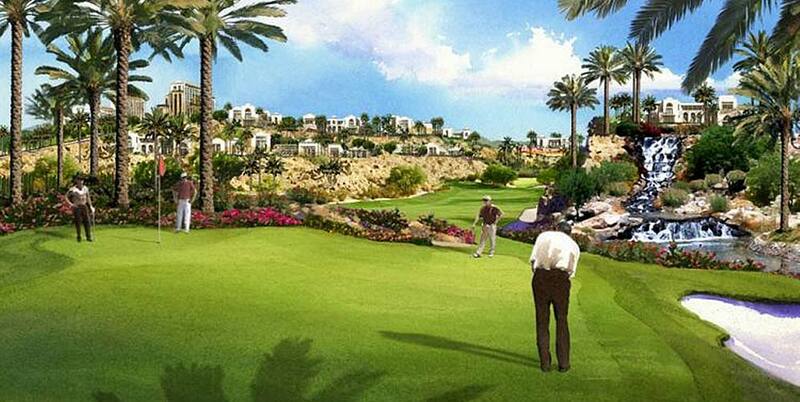 The development concept included placing the 18-hole golf course in the lower levels. Besides the 18-hole golf course, there are nine residential villages containing single family residences, townhouses and mid to high-rise residential towers ranging from 3 to 22 stories. Single family units are designed in Mediterranean, Spanish, Italian and Arabian architectural styles. In addition to the residential development, there are two hotels and Emaar Square, an international town center and shopping center featuring branded boutiques, grocery and drug stories and restaurants and cafes. For: Emaar Misr.